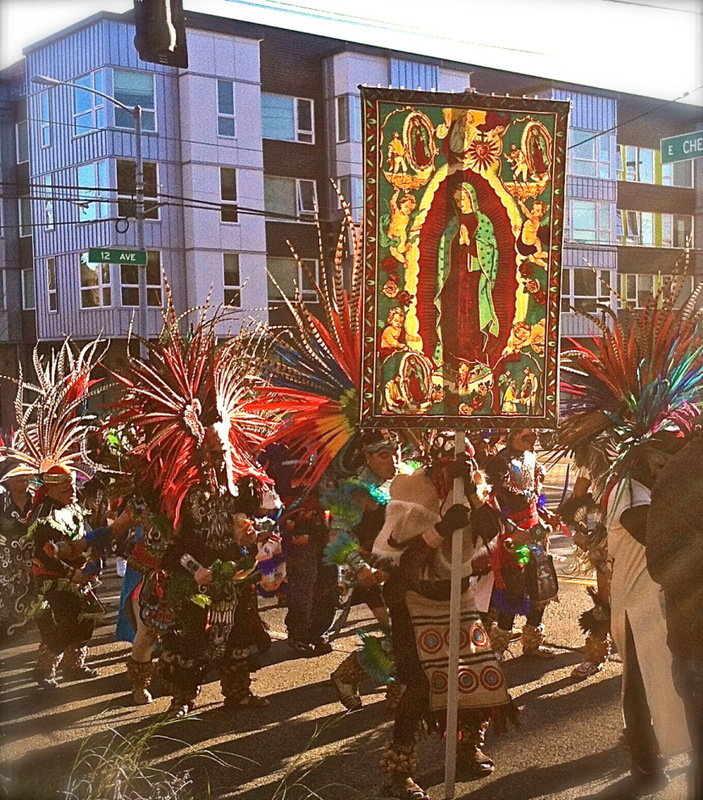 The feast of Our Lady of Guadalupe, Seattle. For several months now, I’ve been undergoing a long period of discernment called “The Rite of Christian Initiation of Adults” that will culminate at the Easter Vigil, when I will join the Roman Catholic Church. I have wanted to write about this for a while, have tried unsuccessfully several times, but felt stymied; it is difficult and often frustrating to attempt to express what can only be said partially, imperfectly. But I’d like to try. My liberal protestant friends, my feminist friends, my secular friends – they might feel surprise, even confusion, that I could join a church that seems, from one angle, deeply patriarchal and conservative. Of course, I have conservative protestant friends and family as well, who might balk at the strangeness of Catholicism, its Mariology, its visceral worship, its sense of tradition that encompasses but exceeds scripture.